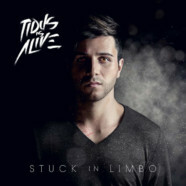 It was earlier this year when Tidus Is Alive exploded onto the scene with Stuck In Limbo- his latest EP which mixes ridiculous breakdowns (think A Day To Remember meets Chunk! No, Captain Chunk!) with pop punk that’s so contagious you wouldn’t believe it. Denny Ranno- the band’s frontman and sole songwriter is onto something special with Stuck In Limbo and it’s one of the stronger pop punk releases so far this year and opens with “Step Aside,” which will catch your attention right off the band and slap some common sense into you- making you a believer from the get-go. “Checkmate” is a song anyone can relate to with it’s lyrics talking about that special someone dragging you down so far that you can’t recover. If you’ve ever felt like you’re a pawn in that significant other’s twisted, fucked up game, this is your new anthem. Piggybacking on that concept and idea is “Pill Of Hate.” While at just 1:55 in length, don’t let that fool you- it’s content is just as powerful- if not more- as the the rest of the songs. If you’re the type that bottles up all of your anger to the point that you explode- and not in a peaceful way- we’re talking violently and emotionally- you’ll be right at home with this one. When it comes down to it, Tidus Is Alive has written one of the more emotional EP’s this year and it won’t take long to resonate with anyone who listens to it. They’d be right at home on Vans Warped Tour and any fans of that style of music will love Stuck In Limbo.